The Association of State Dam Safety Officials (ASDSO) and the National Dam Safety Review Board (NDRSB) recognize that having effective Emergency Action Plans (EAPs) at all high hazard (Class C) and significant hazard (Class B) dams in the United States is critical to reduce the risks of casualties and property damage from dam failures. It is particularly essential to have an EAP at Class C dams that have been found to be unsafe or deficient. However, only about half of state-regulated Class C dams currently have an EAP. Emergency Action Plans (EAPs) are critical for maintaining dam safety. 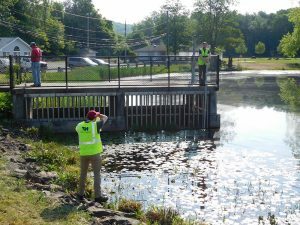 An EAP identifies the procedures and persons responsible for monitoring the dam during periods of heavy rainfall and runoff, or when conditions develop that warrant closer monitoring, such as increased or new seepage, cracking, settlement, or sabotage. EAPs should include communication and warning notification procedures for the dam owner to alert local officials, who are responsible for the warning and/or evacuation of residents and businesses in the inundation zone in the event of a potential dam failure, including an Early Warning (potential failure) message and a Final Warning (evacuation) message. EAPs should also include a notification flow chart with emergency contact information of federal, state, and local agencies that are responsible for providing emergency services and other contacts. 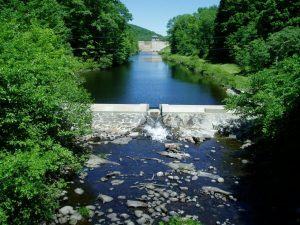 The State of Connecticut Department of Energy and Environmental Protection (DEEP) has adopted new regulations concerning the preparation and update of Emergency Action Plans (EAPs) for Class C and Class B dams. EAPs meeting the new requirements for Class C dams must be submitted to DEEP within 12 months of February 3, 2016, the effective date of the regulation, and within 18 months for Class B dams. Dam owners will be required to submit an updated EAP every two years thereafter, or more frequently as necessary to reflect significant changes to the dam structure or downstream area. The new EAP regulations include criteria for inundation mapping, dam monitoring procedures, formal warning notification and communication procedures, emergency termination protocols, and EAP review and revisions. The inundation map prepared by a professional engineer must include pertinent downstream features such as buildings, homes, schools, bridges, and other dams; the inundation zone showing the direction of the flood wave; and an estimated timeline that shows arrival times of peak floodwaters and the incremental increase in water depth at critical downstream intersections and structures. In addition, a list of roads, residents, and businesses at risk is to be developed based on the limits of potential flooding and evacuation area mapping. Per the new regulations, the EAP is to be reviewed and updated at least once every two years, including verification of contacts in the emergency notification charts. The dam owner is to conduct an exercise or test of the EAP a minimum of every two years involving a scenario of an emergency or unusual event at the dam. Once the scenario has been presented, the participants will discuss the responses and actions that they would take to address, mitigate, and resolve the event. Tata & Howard has extensive experience in the preparation and updating of EAPs, including dam failure analysis and hydrologic modeling to determine the limits of the downstream inundation area in the event of a dam breach. The dam failure analyses results are utilized to define the evacuation limits, and estimate the timing for the flood wave progression through the downstream valley. 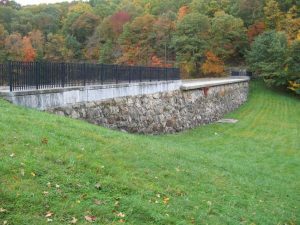 Tata & Howard has prepared numerous dam emergency action plans (EAPs) for Connecticut dams in accordance with CT DEEP regulations.